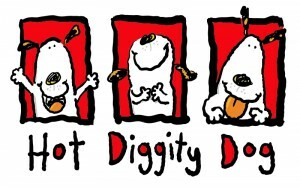 Hot Diggity Dog Bingo Thursday November 5th! TICKETS AVAILABLE AT TALBOT HUMANE AND AT LITTLE RASCALS IN EASTON OR ONLINE HERE! This IS NOT your Grannies BINGO! 20 CASH Bingo games prizes $100 each! Plus a Special game with $500 prize! All to help the animals of Talbot Humane! This event is part of our Executive Director’s Race to 26.2 Miles and $10,000 for the animals- she conquered 26.2 miles, now it’s our goal to surpass $10,000 for the needs of Talbot Humane! Fitness RX is Getting UNLEASHED on November 7th! 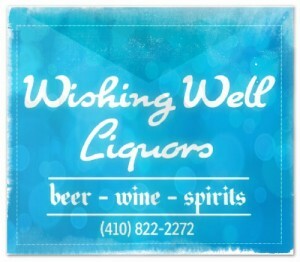 Mid Atlantic Tire Pros Gives Back! Mid Atlantic Tire in Easton, Maryland is giving back to the community through their Mattie Rewards Program. This program allows customers to use their rewards to make a donation to Talbot Humane! To sign up, simply go the MidAtlantic Tire Pros website and click on the Mattie Rewards logo or banner. Just sign up and start earning rewards! Earn your favorite Miles/Points just by using Mid-Atlantic Tire Pros for all your automotive tire & service needs. You can choose from a variety of currencies, but we encourage you to choose giving back to Talbot Humane! For more information or to sign up for your rewards visit http://www.mattierewards.com/ today! The first official race for UNLEASHED in fall 2012. Amy Eutsey is no stranger to Talbot Humane. In December of 2011 she joined forces with fellow volunteer Julie Fickes to create our very successful and life changing program UNLEASHED. She has been an important part of our volunteer force since! Earlier this year Amy joined the staff of Talbot Humane as our part time data entry assistant. When Susan Langfitt, long time Volunteer and Community Events Coordinator, shared her interest in concentrating on fundraising and development, Amy was an immediate choice to work with the volunteers. UNLEASH Yourself for the Animals! It’s that time again friends. Another season of UNLEASHED training is before us beginning in July 2015. Choose your race. Choose your fundraising plan. But first, choose to do something extraordinary for yourself! You’ve seen us running. You may have been curious as to what we were doing, who we were. Maybe even thought “I want to do that some day.” Or “I would do that but I can’t because….” Believe us when we say, you can, if you will it, you’ll make it, and you will LOVE IT! 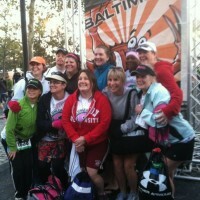 Geared toward your fitness level, this program is for couch potatoes and weekend warriors alike! UNLEASHED is a group of ordinary folks doing pretty awesome things for themselves, the animals and citizens of our community. Since Spring 2012 our UNLEASHED runners have raised over $60,000 for the animals of Talbot Humane! This is simply amazing! Our next informational meeting will be held at Talbot Humane on Thursday June 25th at 6PM for any and all interested parties. Come meet the coaches, the alumni and learn just how DO-ABLE our program really is! For more information on the program click HERE. If you would like to speak to a team member about this amazing opportunity to get fit and help the animals all at once please email info@talbothumane.org or call (410)822-0107 today. 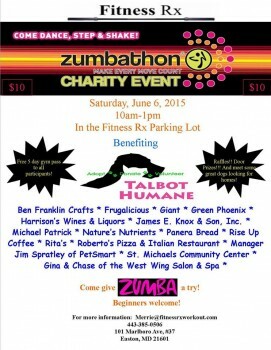 We are pleased to announce Fitness RX on Marlboro Rd will be holding a Zumbathon on Saturday June 6th 10A-1P to benefit the animals of Talbot Humane! It is only $10! NEW-BEES WELCOME! It would be a great time to try Zumba and see if you like it! All participants receive a 5 day gym pass. They have amazing raffles and door prizes thanks to our community supporters and local businesses! Come out and get your ZUMBA on for the animals! For more information you may contact Fitness RX at 443-385-0506 or merrie@fitnessrxworkout.com. Special thanks to Mark Cuviello owner of Fitness RX and Jen Frye dedicated Talbot Humane volunteer and ZUMBA instructor for organizing this amazing event! Come out and check out UNLEASHED! Even the most seasoned couch potato can get moving and make a difference for yourself and the animals in our community! 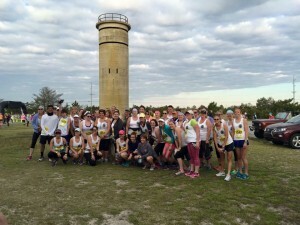 We start SLOW and short distance and work up AT YOUR PACE to get you to 3.1 miles! YOU CAN DO IT! This FREE program starts Saturday May 30th, but you can come out anytime to see how it works! We want to see you Saturday at 7AM- we meet by the tennis courts on Aurora St. Try it, we just KNOW you will LOVE IT! For more information contact us at info@talbothumane.org or call (410)822-0107 and ask for Patty or Susan. 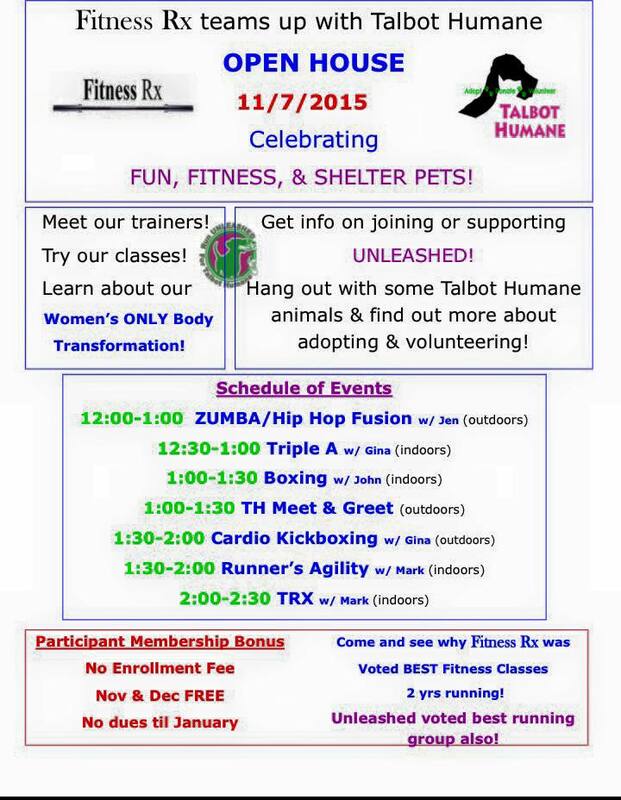 Oxford Day 2015 Welcomes Talbot Humane Again! Join the fun on Saturday, April 25, in Oxford for a Dog Walk and Show to benefit the animals of Talbot Humane! The Oxford Day Dog Walk begins at 9:00 and runs from the Causeway to the Ferry Dock. The blessing of the animals takes place just before the Walk at 8:55. download the oxford-day-dog-walk-registration-2015 here. The fee to participate is $25. Registration also takes place the morning of the event. Each entry receives a goodie bag for your dog to enjoy! Once at the Ferry Dock, show your pup pride in the Talbot Humane Oxford Day Dog Show. This is always great fun, a donation enters your pooch in as many classes as you want. Classes include Tallest Dog, Fluffiest Dog, Smallest Dog, Most Adorable Puppy, Dogs Adopted from Talbot Humane, Look Alike, Dogs Adopted from Other Rescue Organizations, Unique Looks, Best Trick and Best of Show. Local businesses interested in sponsoring a class please contact us today!